"Temple of Artemis at Ephesus - unfortunately, today, there isn’t much left from this grandiose structure..."
Two and a half millennia ago, the temple of Artemis at Ephesus used to attract worshippers, peasants, merchants, kings, pilgrims and artisans who all flocked to see one of the Seven Wonders of the World. Unfortunately, today, there isn’t much left from this grandiose structure… there is only one column and a few pieces of marble marking the spot! So, you will have to use your imagination to envision the temple of Artemis at Ephesus that used to stand south west of the hill Ayasuluk in the vicinity of the Ephesus ruins. Dedicated to the cult of Mother Goddess, Artemis of Ephesus, this temple was built in the 1st half of the 6th Ct B.C. on the site used for worshipping since the Bronze Age. The temple was constructed according to the plans of architect Chersiphron from Crete and his son Metagenes, at the expense of a wealthy king of Lydia, Croesus. Its building was a 120 year long project. Two hundred years after building it, the temple of Artemis in Ephesus was burned down by a lunatic, who wanted to become famous at any cost, and it happened on the night that Alexander the Great was born! Curiously, many years later, when the temple’s reconstruction was on course, Alexander the Great offered to finance it. Proud Ephesians answered that it wouldn’t be befitting for one god to help another! 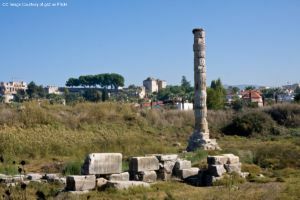 In 263 A.D. the temple of Artemis at Ephesus was looted and destroyed with the invasion of the Goths. Although it was reconstructed once again, it started losing its importance due to the spread of Christianity. Throughout the following centuries, its fragments were used as building material. Some of the columns actually ended up in Hagia Sophia! Today, some of the remains of the temple of Artemis in Ephesus can be seen in the British Museum, as well as in the Istanbul Archaeological Museum. 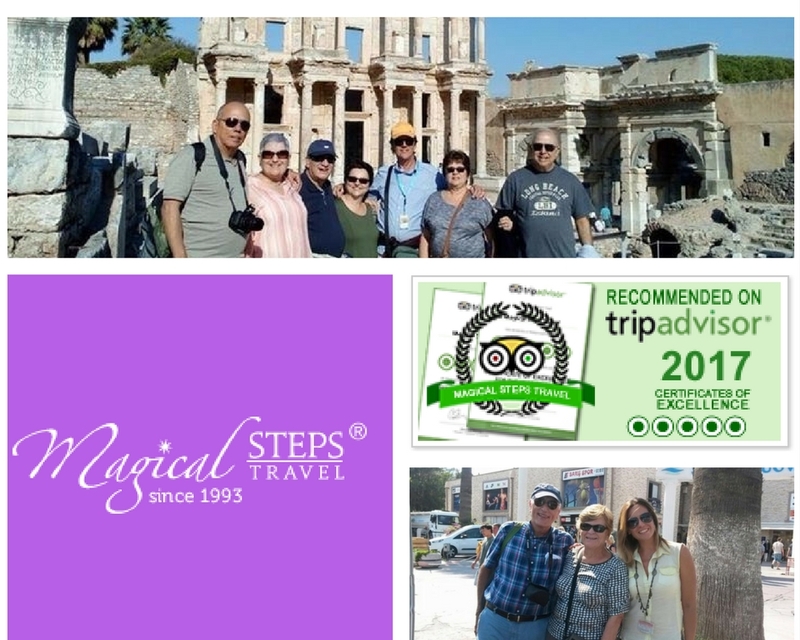 If you would like to be taken to the temple of Artemis in Ephesus by a private tour guide check here.